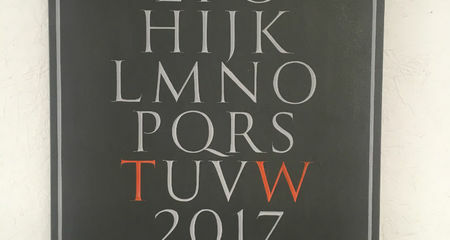 Welcome to my blog, where I share my passion and love of stone letters. 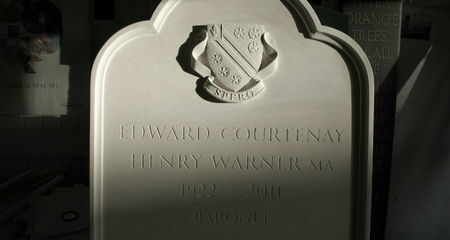 You wlll find advice and inspiration on headstones, opening plaques, heraldry and letter carving in general. 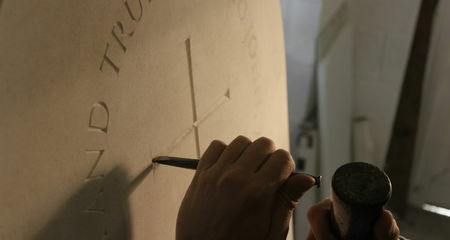 Please share and comment on these articles and help spread the word on hand carved headstones and lettering in stone! We are often asked if we are NAMM registered. 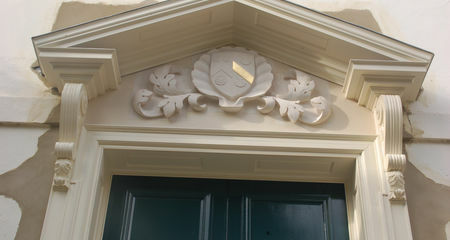 NAMM (The National Association of Memorial Masons) has a register of approved fixers called the RQMF, which we are included on. We also have full public liability insurance up to £5 million. Last night Fergus attended a reception at the Burford Garden Company where the finalists for the West Oxfordshire Business Awards were announced and we were thrilled to learn we have been selected as one of the finalists! 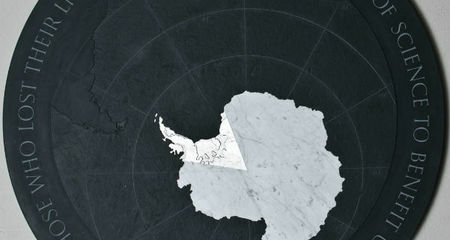 We are very proud of our team and our work. 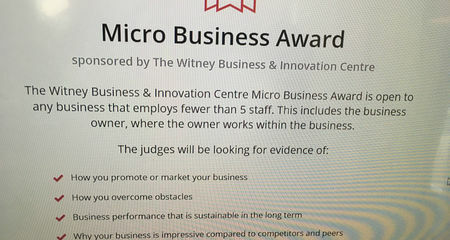 We were delighted to be shortlisted for a West Oxfordshire Business Award 2019, in the category of Best Micro Business. We were visited by two members of the WOBA team and we were asked to share our business ethos and vision for the Workshop. 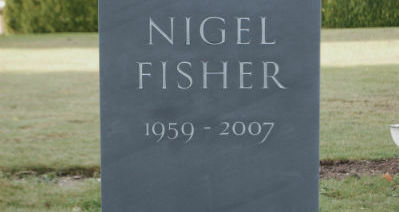 Have you even thought about choosing your own headstone? 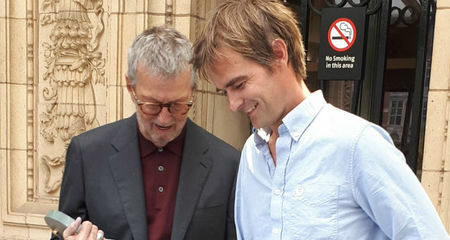 Leaving some guidance in your will could be a great help to your family. 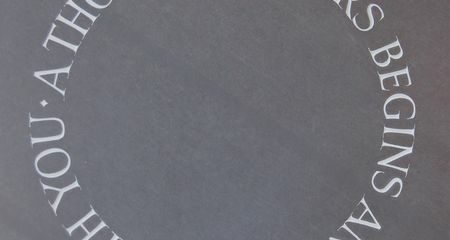 Advice on dealing with the loss of a loved one, which brings me comfort. It reminds me how lucky I was to have been so loved and to have loved so deeply. 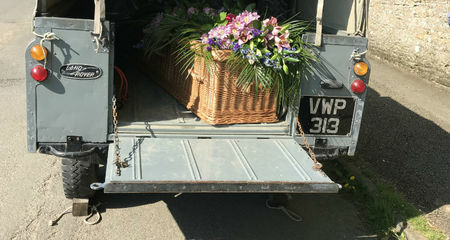 Our experience of a DIY or family led funeral. 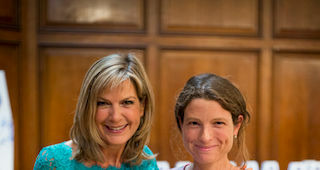 We describe how we kept our mother at home and gave her the most beautiful and personal send off possible. 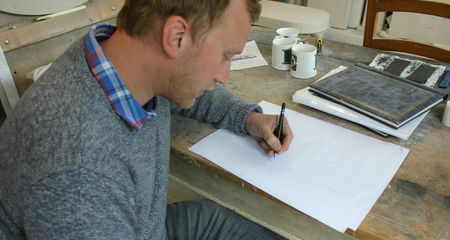 Tom's third diary entry explains the importance of knowing your letterforms inside and out. 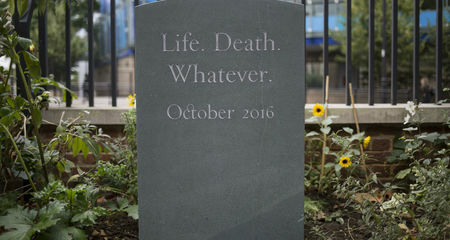 This month I am proud to be a part of an exhibition at National Trust's Sutton House called "Life Death Whatever". 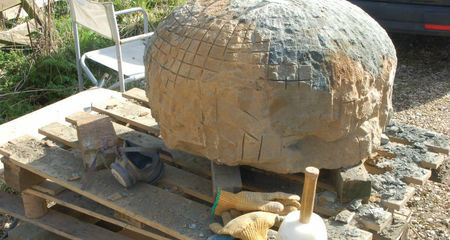 I was asked to make a fine hand-carved headstone for the event. 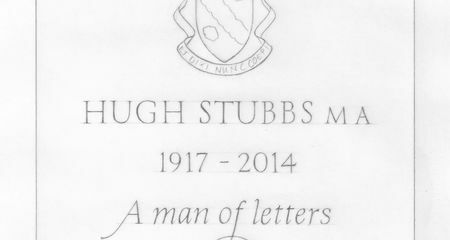 Last week Stoneletters was the proud winner of a Good Funeral Award for "Best Maker of Hand Carved Memorials in an Indigenous Material". 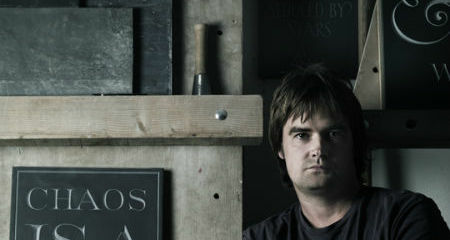 The award is a real accolade and testament to all of Fergus's hard work and devotion to his clients. 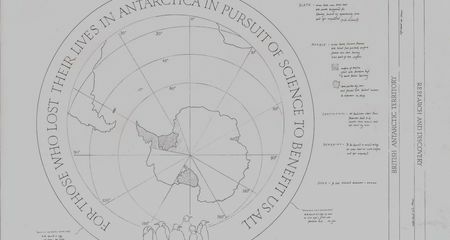 What does "Getting it Right" mean? It is a journey that the client has felt part of, and when this happens, I feel we have "got it right". 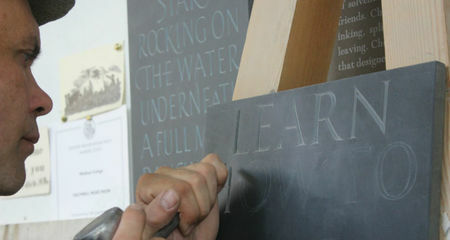 We currently have an exciting opportunity for a new letter carving apprentice to join our team. 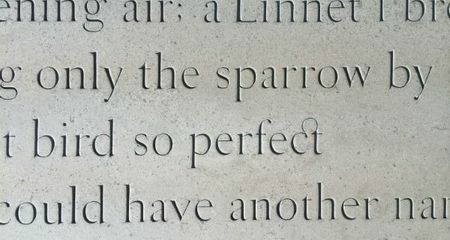 Epitaphs from poems can be stunning from a distance, and if carved with great rhythm, they will draw people in to read the beautiful words. 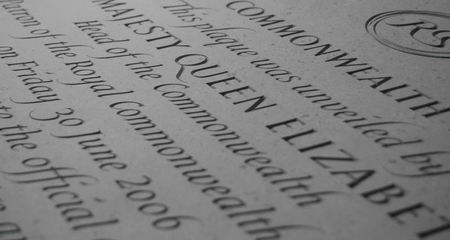 When you want to erect a new memorial or add an inscription to an existing memorial in a churcyard there is usually a fee to pay. Here is a list of the updated Church of England Fees for 2016. 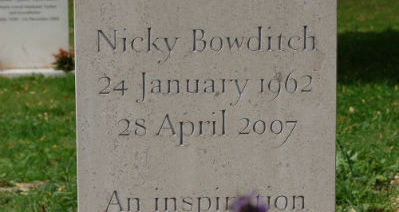 Choosing a headstone or memorial for a child must be the hardest thing to do. 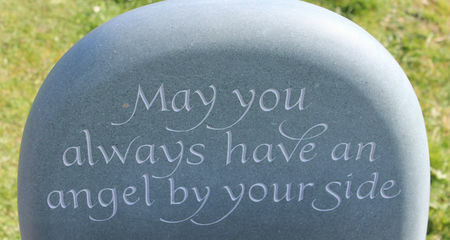 I have collected together some beautiful epitaphs and quotes for children as well as some examples of headstones which I hope will provide some comfort and inspiration. 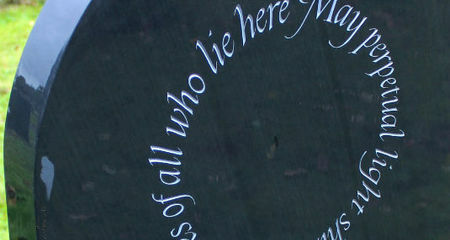 Lettering is only a small part of a gravestone design. 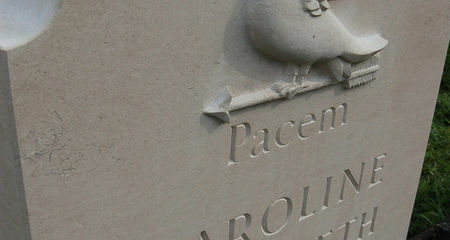 Almost all of my headstones incorporate a small carving of a symbol or motif. 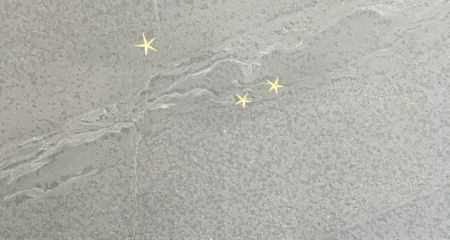 Choosing a symbol is often difficult and may be inspired by something your loved one was passionate about or simply an image from nature. 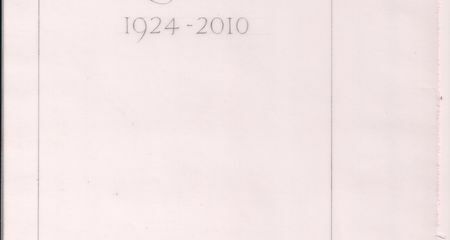 Here are some symbols from my headstones which I hope will inspire you. 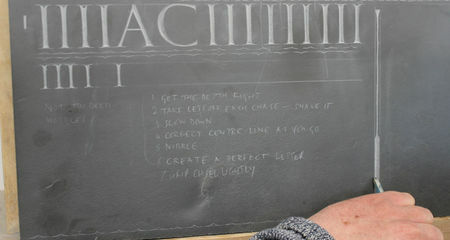 This is my biography, the story of my path to becoming a letter carver. 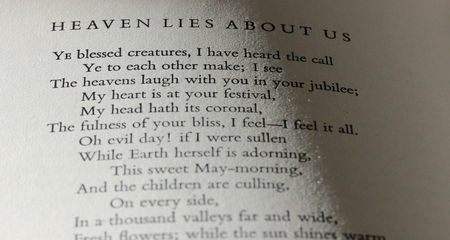 It began at an early age when I played with pieces of type on the floor of the Whittington Press. 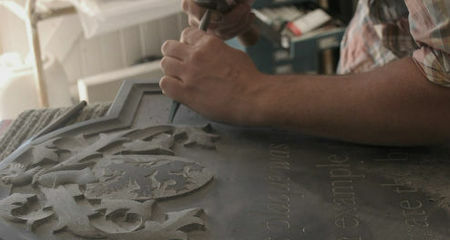 Have you ever seen a truly bespoke, hand carved headstone? These headstones are nothing like those seen in the catalogues of monumental masons. 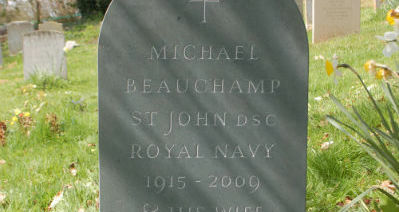 This selection of headstones is to give you an insight into our work. 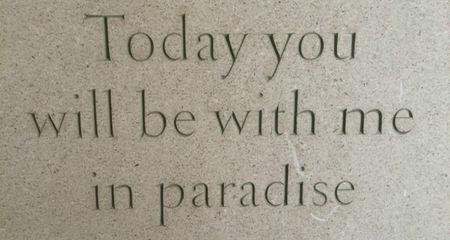 Lettering in stone can look stunning in a garden setting. 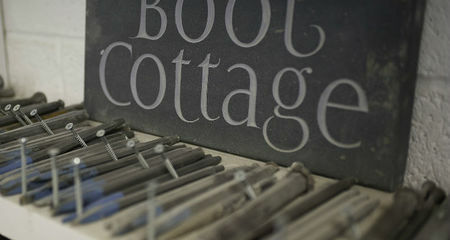 Examples of our work include slate obelisks and garden wall plaques. 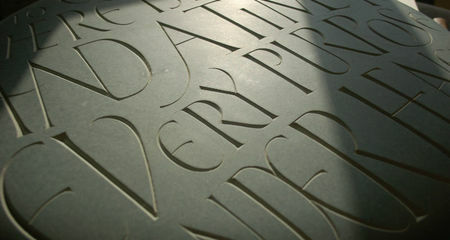 Hand carved lettering in stone can also be used for sundials, bird baths, benches and water features. 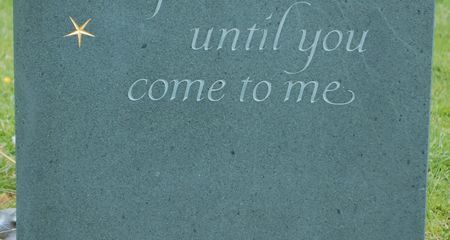 A selection of 10 stunning green slate headstones and memorials to inspire you. 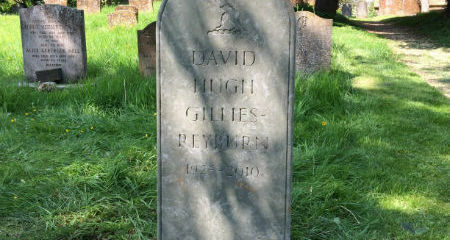 Traditional Headstones - is the UK seeing a revival? 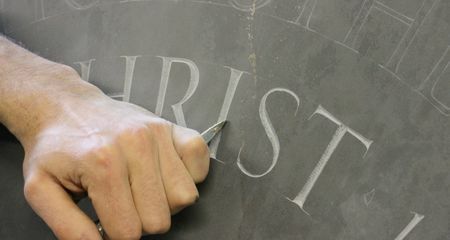 Traditional headstones are seeing a slow but steady revival in our UK churches thanks in part to the internet where letter cutters are able to promote their fine work. 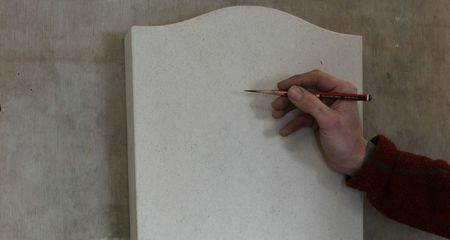 Here I address some of the most frequently asked questions about headstone design. 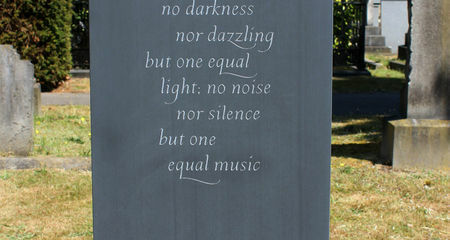 Portland Headstones to inspire you. 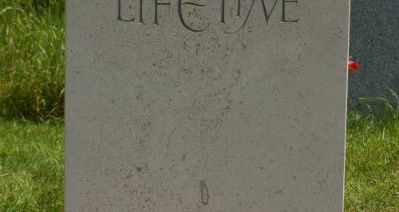 Portland limestone is a natural British material which improves with weathering. 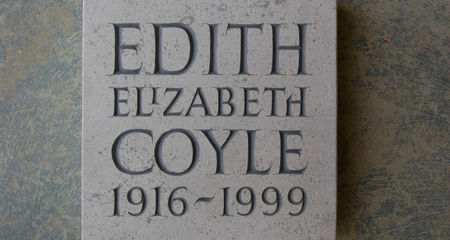 These headstones give you an idea of the versatility of the stone, although the lettering needs to be large enough to read without the need to paint it, and in time as it weathers the letters need to be cut deep and large enough to remain legible. 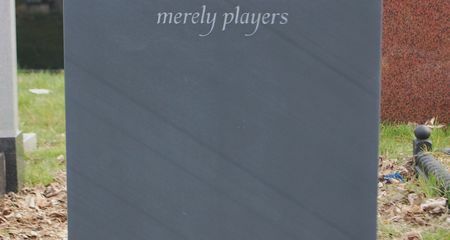 Carving letters along the edge is very effective. 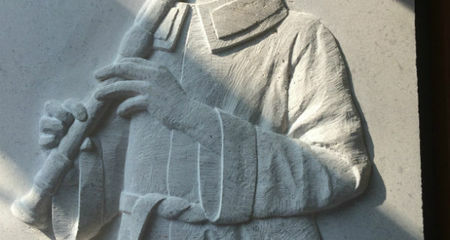 Our hand carved memorials are hand made with meticulous attention to detail. This sets us apart from others. 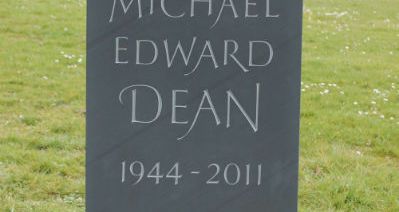 Here are 10 fine examples of hand carved slate headstones to inspire you. 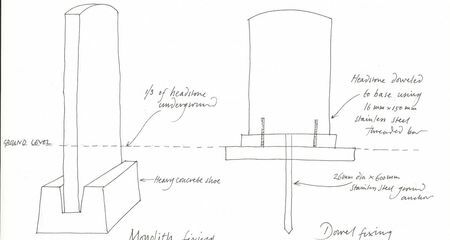 Headstone materials- how do you choose? 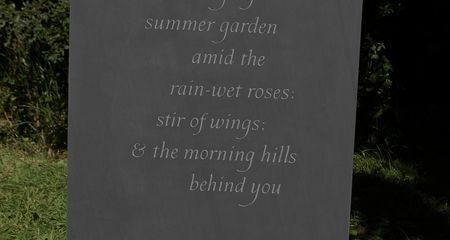 Here I list 7 of the best, all of which look beautiful in a natural churchyard setting. 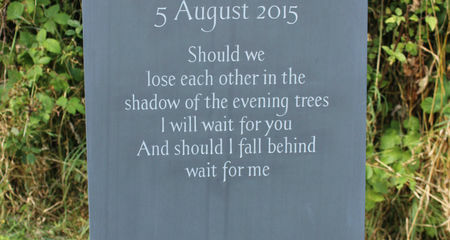 Cremation Memorials - the new headstones? 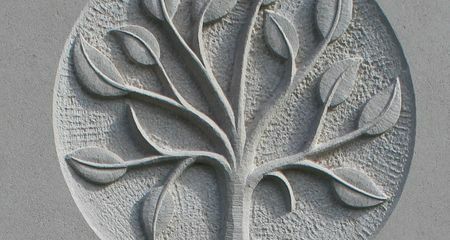 Are cremation memorials the new headstones? 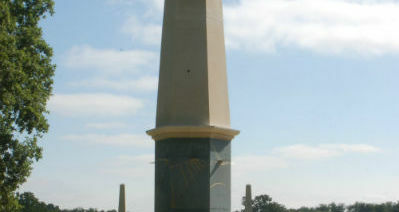 Lack of space means that cremation memorials are in demand. 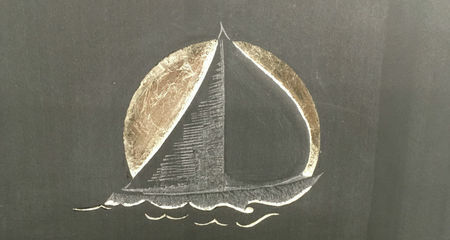 However there is scope for interesting and creative design. 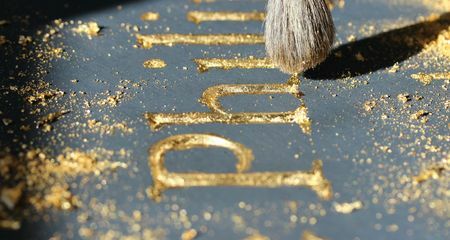 Choosing the right headstone material is crucial and it is hard to know where to begin. 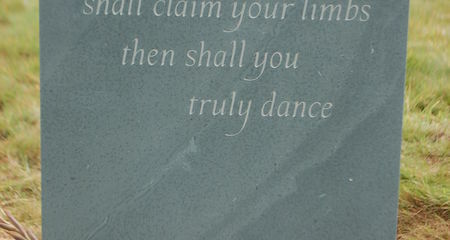 Do you start with the inscription, or the stone? 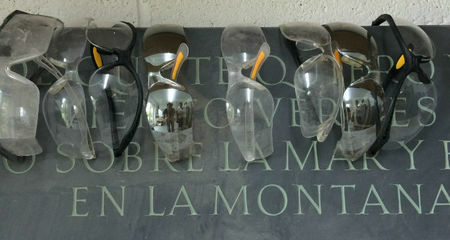 Here I suggest 8 questions you need to ask when considering what material to use. 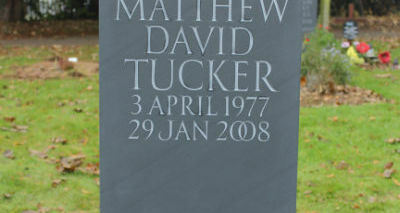 Choosing a headstone is a huge undertaking and should never be rushed. Do not feel hurried and pushed into deciding too soon. 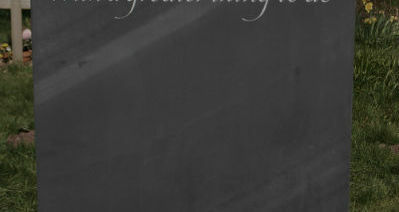 Here I share 4 good reasons to take your time. 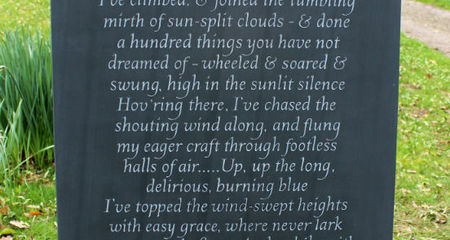 Lettering in Hopton Wood stone; a garden wall plaque with musings of the great Ivor Cutler. 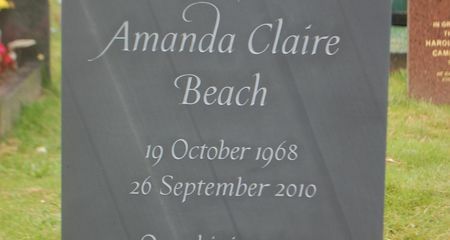 This beautiful bespoke memorial was meticulously shaped by hand to make a fine, smooth pebble stone. 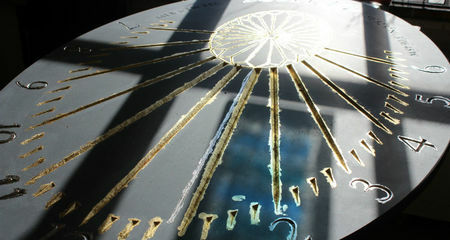 I love making sundials, because there are rules to be followed. They have to be just right otherwise they have no function. 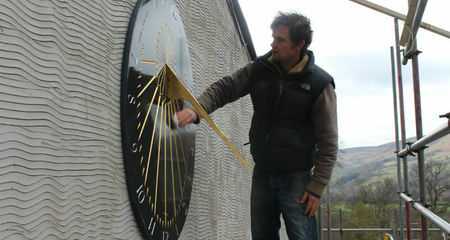 The latest sundial in the workshop in progress. 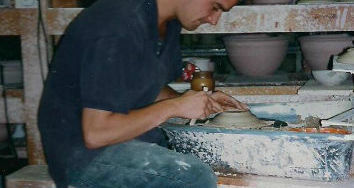 A visit to Winchcombe Pottery where I worked for six years, and reflections on the path which took me to lettering and the link between letters and pots. 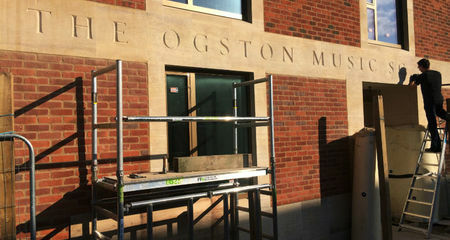 A wonderful afternoon spent visiting Pigotts, Eric Gill's former home: a fascinating place steeped in history. I trained under Lida Kindersley, who was married to David Kindersley. 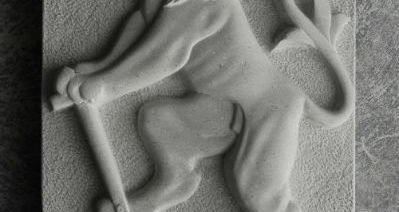 He in turn trained under Eric Gill, so my work owes much to Eric Gill's tradition. 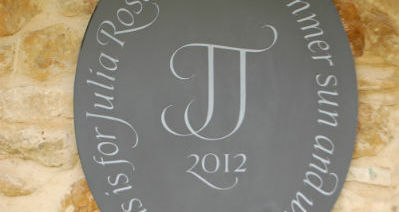 Circular lettering for a headstone epitaph. 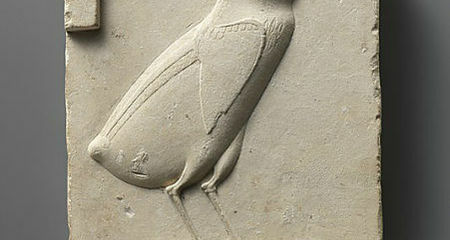 Beautiful Egyptian hieroglyph of quail chick. 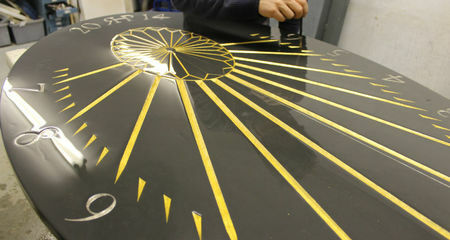 Gilding a sundial in the workshop.